Delve into a post-nuclear strategy and simulation experience straight from Vault-Tec Industries. 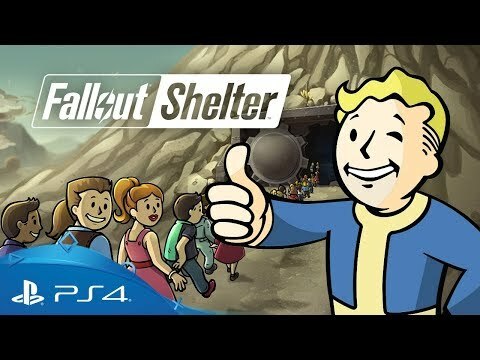 Take control of your very own underground Vault in Bethesda's simple and addictive free-to-play simulation experience. Build and organise the perfect underground shelter, take care of your dwellers to ensure their happiness and survival. Hunt for supplies, expand your facility, and protect your inhabitants from the dangers of the wasteland. Create a brighter future underground. Select from a variety of modern conveniences to turn an excavation beneath 2,000 feet of bedrock into the very picture of Vault life. Get to know your dwellers and work to ensure their happiness: find them the perfect job and provide them with clothes, weapons and training to improve their skills. Send dwellers above ground to explore the surface and seek adventure, handy loot, or – if they’re unlucky – an unspeakable death. Amid the ruins, they’ll discover new armour and weapons, experience, and Caps to further expand your vault.